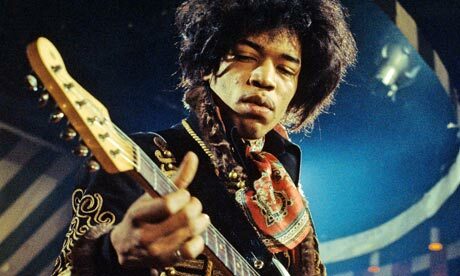 Tomorrow is the 40th anniversary of Jimi Hendrix’s death so today’s music thread is a tribute to this phenomenal, innovative and influential artist (thanks Bito for the suggestion on today’s thread!). Songs by Jimi, covers by other artists of songs he made famous, artists he inspired and music from his Woodstock compadres and others front that magical, psychedelic time in the 70’s are all welcome as a tribute to this one-of-a-kind guitar magician. Friday Music Thread – Why Do Fuels Fall In Love? AdLib posted Crosby, Stills, Nash and Young. Which leads to Buffalo Springfield then to Crazy Horse. Steven Stills played with both Hendrix and Young and Young played with Pearl Jam. Was I listening to “Grunge Music” in the early 70’s?